Official description: There are days when you want a beer—just a beer—that hits all the right spots. Well, this is it. No snifters required, no special occasions—just an unfussy, uncomplicated, hoppy blonde ale brewed to fit in no matter where it goes. This isn’t beer for collecting, this is beer for drinking. Bittering Hops: Simcoe. Finishing Hops: Polaris, Comet. Malts: Two-row Pale, Acidulated, Munich, Pilsner. 4.8% ABV, 33 IBUs. Debuting in 2017, Sierra Nevada lists BFD under their year-round beers alongside other such newcomers as Hop Bullet, Sidecar Orange IPA, Hazy Little Thing, Otra Vez Lime & Agave, and Sierraveza. 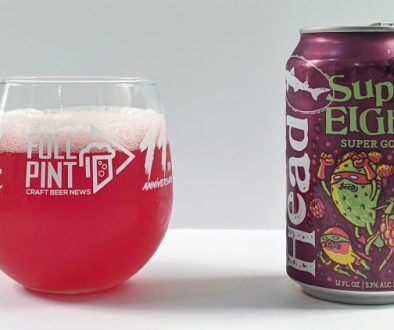 However, BFD is strangely missing from the brewery’s 2019 release calendar. 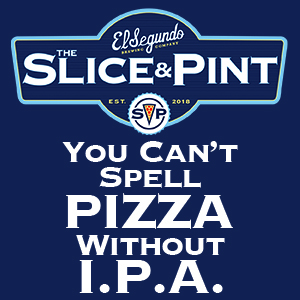 It’s no surprise, though, because Sierra Nevada doesn’t really want you to drink this beer. 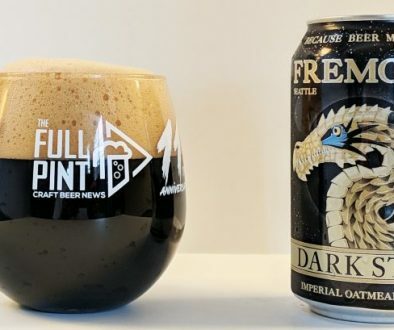 It’s hardly available on store shelves, I’ve never seen it sold in 6-packs, and seems relegated to single tallboy cans in gas station convenience stores. It’s a tough beer to track down for being a year-round offering from the country’s third largest craft brewery. I’m sampling this from a giant 19.2oz can with an easy-to-read packaging date on the bottom that reads 2/1/19. Into my glass, BFD is a slightly hazy pale golden in color topped with a huge head of bright white foam that sticks around for well over a minute. The nose is quite different than I expected. The first thing that comes to mind is fresh air followed by subtle floral hops, honeysuckle, and even a whiff of celery stalk. As the beer warms up in the glass, orange blossom honey peeks through. My initial thought is that BFD smells a bit like a saison. It’s quite delicate. Flavors continue the saison comparison. BFD is reasonably dry and not even remotely bitter (0/10 level) with high carbonation and just a touch of sourdough acidity. The overall effect one could describe as bland, but I get more of a petite saison vibe. It’s refreshing with extremely subtle flavors coming across like lemon seltzer water. I appreciate the overall effect, but I think many consumers, especially long time Sierra Nevada drinkers, will be left scratching their heads. 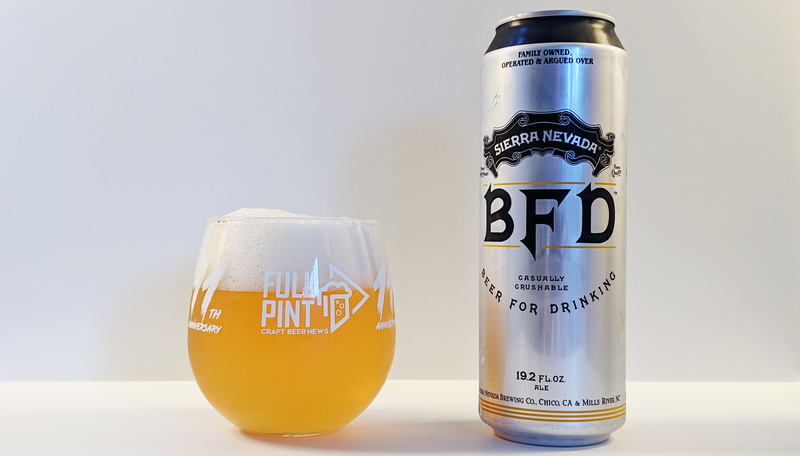 BFD is odd as it lacks Sierra Nevada’s unmistakable grainy flavors and isn’t hoppy whatsoever, which is at odds with its official description and what consumers tend to associate with the brewery. I understand that Sierra Nevada is branching out with BFD to reach a different kind of consumer, one who is more casual, less brand conscious, and wants a simple beer for the sake of beer. However, Firestone Walker does a remarkable job of this with 805, which is delicious in its own right. What BFD does do, though, is make me appreciate Sierraveza all the more. That beer is also a new “easy drinking” addition to SN’s year-round lineup, but you can actually find it in stores. 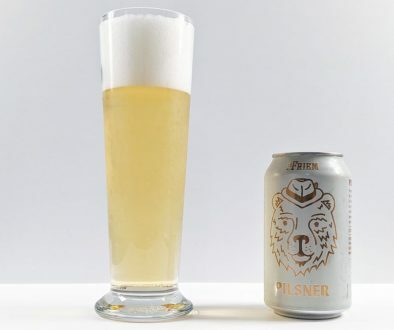 It’s similarly light-bodied and approachable for all palates, but it comes across as more cohesive with better hop aromas and richer malt flavors. My suggestion is to give Sierraveza a go and save BFD for the novelty tick.